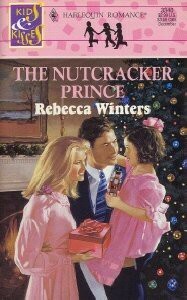 I probably won't rate Nutcracker Prince until I do a re-read because my feelings might have changed in the years since reading. Yes, this is a basic harlequin-type romance that's been churned out among a long chain of books at a mile a minute, but I read this darn book several times, many years ago, because I loved the mysterious KGB agent and his secret relationship with an American woman who he never got over. There was more to it than the typical "here's daddy back to reclaim his child" story (as advertised with that cover). Just going off my recollected feelings, but this would have been an enthusiastic 4 star back when I read it. Will the book have held up with time? Who knows? I hope to get a copy of this someday and see if it still gives me the warm fuzzies.